On a Friday night in Albany, it was as if for a fleeting moment, time had stopped. 20,000 people were caught between the 1990’s and 2017. It was somewhere where all that mattered was the Fun, the People in the seats, and, of course, the Music. The Times Union Center had entered the G Zone. Garth Brooks spent over 2 and a half hours stopping time last night in Albany, New York. He opened with “Baby Let’s Lay Down and Dance,” the single off of Brooks’ most recent album, 2016’s Gunslinger. After that, it was hit after hit after hit…from the 1990s. But the audience didn’t care. That’s what they came for. Brooks experienced his music as if it were the first time he was playing these decades-old songs. The audience reacted in kind. That’s because, for many it really was their first time seeing music legend perform. In just over 40 cities, Brooks has sold 5 million tickets. It is reported that 48% of those buying tickets were too young or not even born at the height of his popularity in the 90’s. Garth Brooks is notoriously a people-pleaser. He knows what his audience wants and promises to deliver. In fact, he often plays multiple shows in a single city to meet demand from his fans. His set list is no less obliging. Friday night, it contained only the best of the best, and he never once stopped to play something more obscure from his catalogue. “Papa Loved Mama”. “The Beaches of Cheyenne”. Even “That Summer”. It was all there at his Albany concert. Brooks tours with the incredibly talented Trisha Yearwood, and she also happens to be his wife. She performed a mini set in the middle of the show, and promptly stole it. The crowd was never louder than on Yearwood’s seminal hit, “She’s in Love with the Boy”. After Ms. Yearwood’s set, Mr. Yearwood (Garth’s title for himself) cranked it up a notch by closing the main set with super-mega hits “Callin’ Baton Rouge”, “Friends in Low Places”, and “The Dance.” Ever the people pleaser, Brooks returned to the stage for an encore “Housekeeping” section. He took requests from signs he saw in the audience and played such deep cuts as “A Friend to Me”, “That Ol”, and “When You Come Back to Me Again”. 2017 marks the last leg of the North American portion of the world tour. Brooks and Yearwood are expected to tour other continents after the conclusion of this leg later this year. At a press conference before Friday’s show, Brooks addressed a creative way around the cost prohibitive nature of touring overseas. 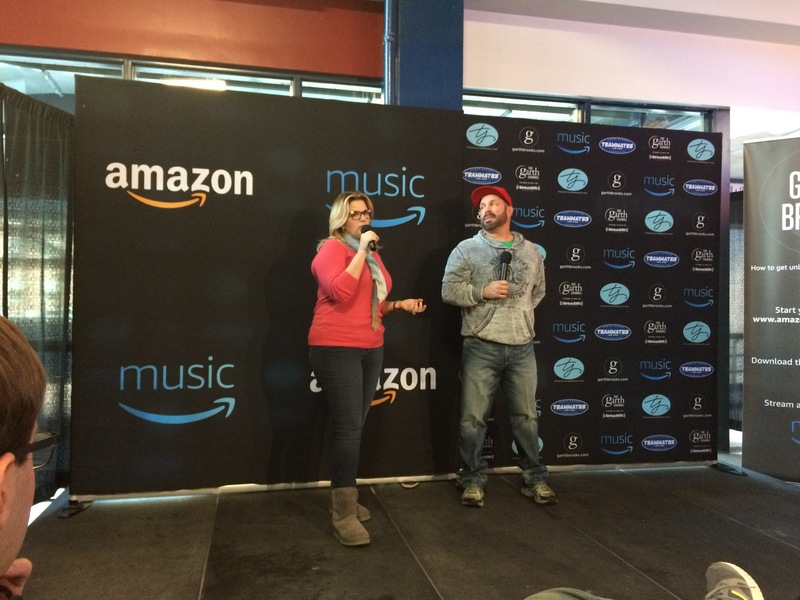 Special it is indeed to have Garth Brooks and Trisha Yearwood return to the stage. The Garth Brooks World Tour with Trisha Yearwood performs at the Times Union Center in Albany, NY on 3/11 and 3/12. Check this link for more details. Tickets are limited. For more from the March 10th show, including Matt’s one-on-one interviews with both Garth and Trisha, check back for a very special Talk For Two episode on Monday, March 13th.